An unfriendly interface and throttled performance make it a dicey choice even at no cost. VSDC has a lot of features you won’t find in other free video editors, like picture-in-picture, video stabilization, and the ability to upload multiple YouTube videos at once. If you can deal with its quirks, it’s one of the most powerful options available. But its interface isn’t very user-friendly, it has some major limitations, and the free version essentially throttles the speed at which you can process your videos. The interface is powerful, but it’s not for the uninitiated. A great deal of information is displayed at any given time--enough to overwhelm newbies. 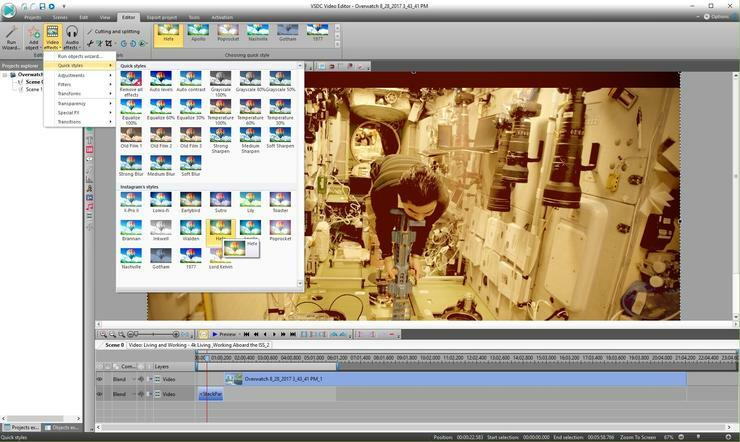 That said, VSDC does come with a drag-and-drop, step-by-step wizard mode that will get very basic videos made even if you aren’t sure what you’re doing. It’s just too bad that the software’s most powerful features are so user-unfriendly. Clicking play on a video preview in the VSDC editor will open the video in a separate application. We appreciate the fact that it’s easy to sort your project into multiple scenes, and that a significant number of file formats are supported for both importing and exporting. It’s also nice to see such a customizable editor—you can add and remove elements at your leisure. There are some neat effects, too: TV effects allow you to simulate old-style TV signals, and the Instagram-like filters are well-executed. This software comes with some serious limitations, though. 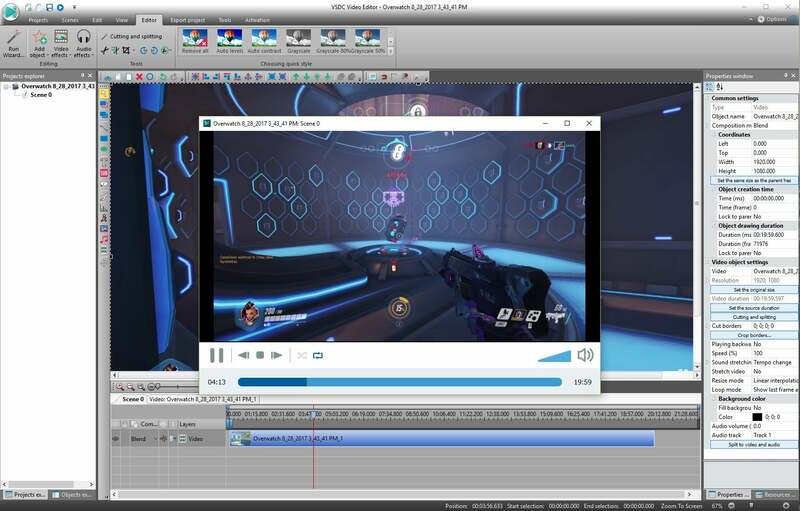 For example, you cannot preview a video right in the editor. When you click play to preview, it opens the video in Windows Media Player. Furthermore, previewing and exporting is extremely slow with 4K video in the free version. In fact, it’s so slow that it’s not really practical to edit 4K video. This is because the free version does not enable hardware acceleration, the most efficient way to process your video. You’ll have to pay for that. It’s great to see a free video editor with so many features, but unfortunately some limitations like the inability to preview directly in the editing view make VSDC difficult to recommend. That’s especially true when other free video editing software doesn’t have these same restrictions. Most people would be better off trading the extra features for more efficient basics.